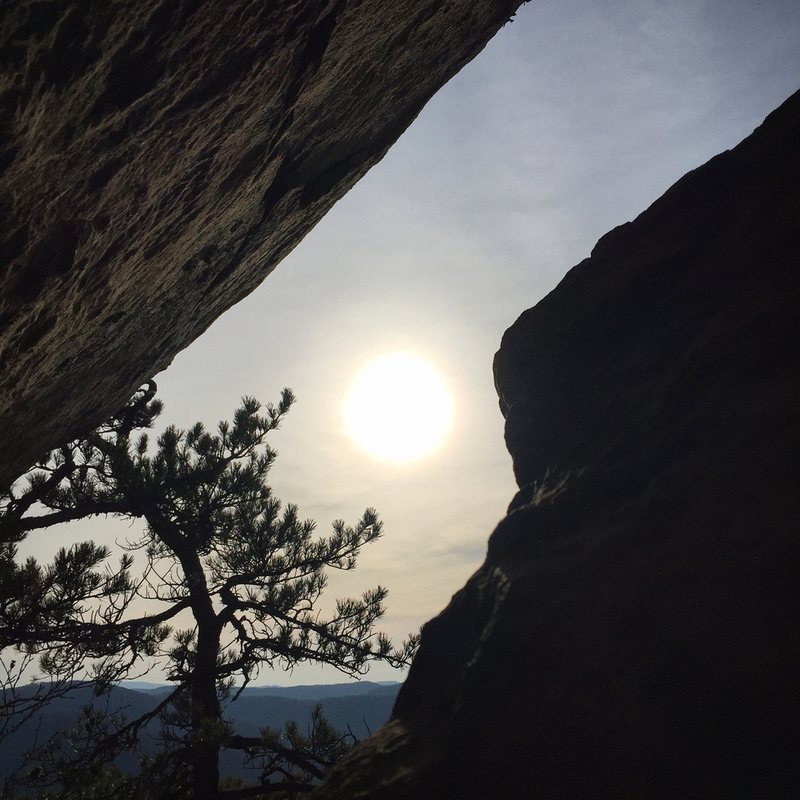 What we did last weekend? 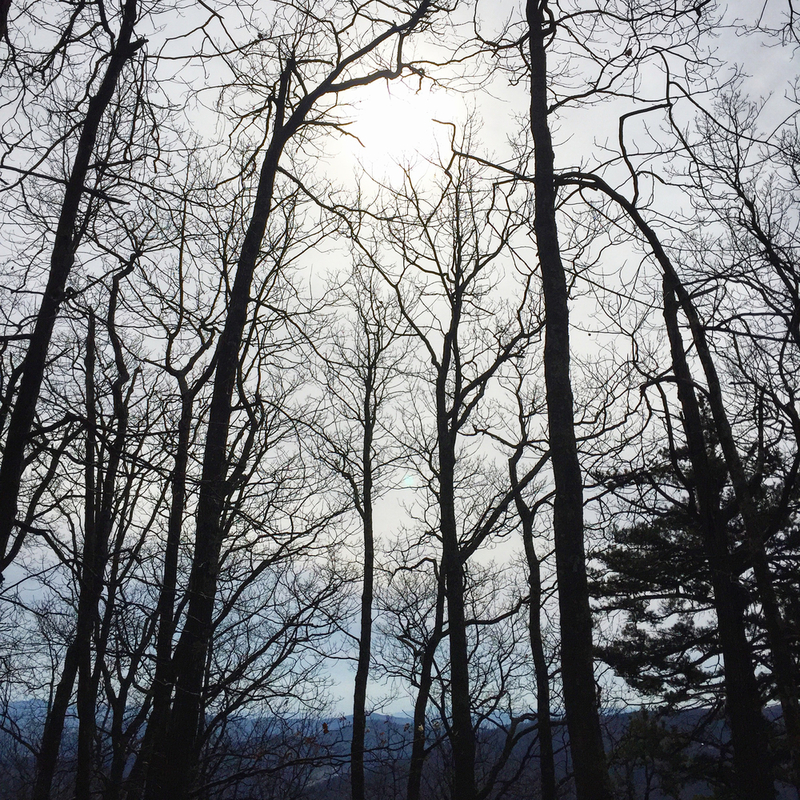 Last weekend we hiked to Cranny Crow overlook, located in a small ridge in Lost River State Park, West Virginia. There we found a couple of beautiful views and historical sites such as an old fire tower and an abandoned town. We also saw endless naked trees and some ice stalactites hanging down from rocks - something common in winter. The trail was very steep at the beginning, but the view from the overlook was worth it. Cranny Crow consists of big rocks at the edge of a ridge, creating an open 270-degree panoramic view to the south. 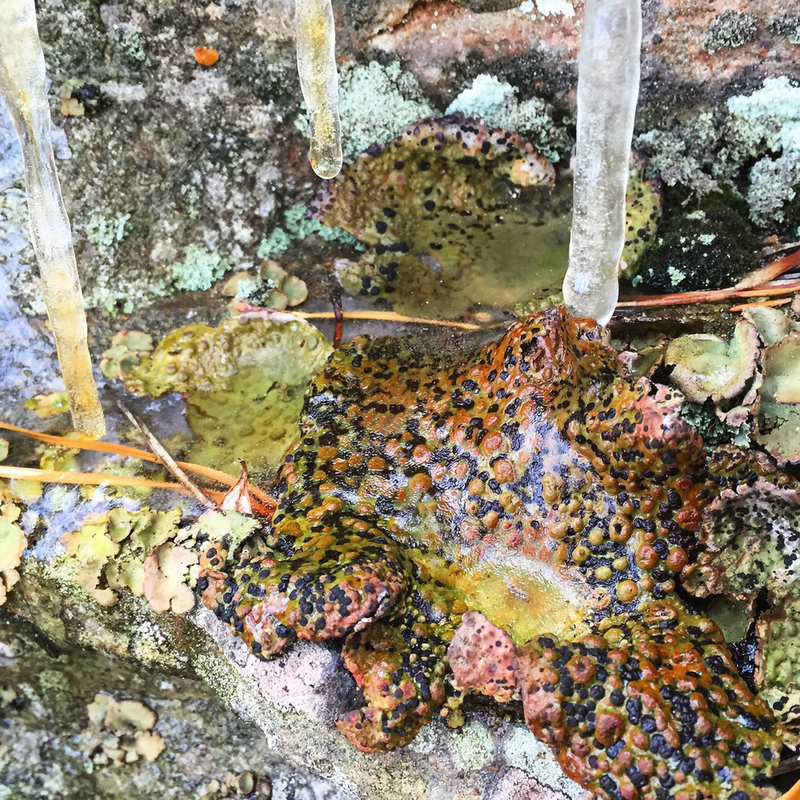 The rocks are covered with green and purple lichens and some ice, something we should pay attention at. We enjoyed an unforgiving view of the Blue Ridge mountains - really blue! - fading away in the distance. Black birds, probably crows, were also flying in circles over the forests. After having a snack at the overlook, we continued walking through the forest and found interesting creatures such as white mushrooms and old twisted trees. Eventually we found a 60 feet high steel tower in the middle of no where. 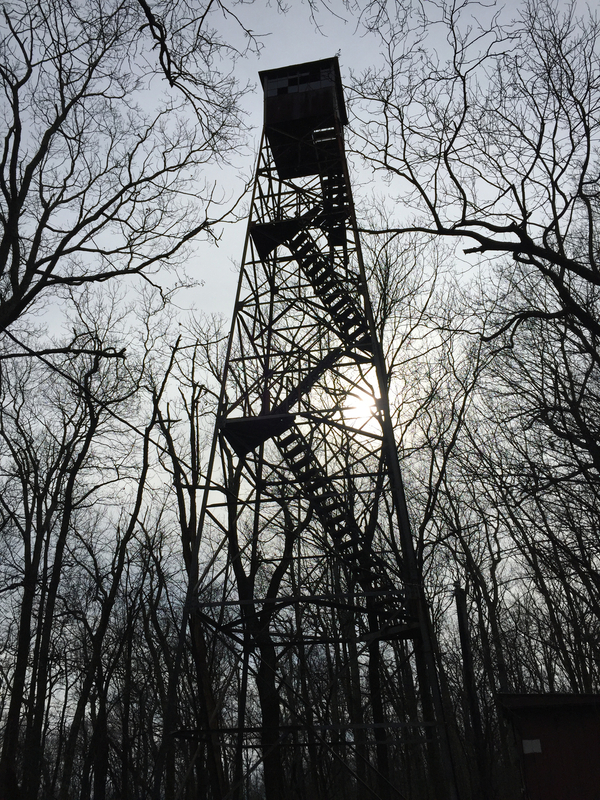 A sign said that it was built in 1930 and served as a fire tower for many years. We couldn't resist to climb to the top and arrived to a small glass enclosed lookout house, with rusty scratched walls with graffitis from the 80s. The first set of stairs were removed and now it's not accessible to the public anymore. We also found an abandoned house and big boulders nearby. Maybe someone could have fun scrambling these rocks in a warmer weather. There was also an abandoned - ghost town with an old school cemetery, something we were not much interested at. In the evening we came back to the overlook to enjoy the last light of the day. We wanted to watch the sunset, but it was so cold we had to hike down very quick. At the end of the hike we saw two deers jumping in the forest, like saying goodbye to us. The trail was fine, but apart from the nice view of the blue mountains and the experience of being in a fire tower, there is nothing too exciting, and you don't really feel close to nature - the place has now been exploited for too many years. Anyways, it's up to you to explore it by yourself.